Have you gone digital yet? 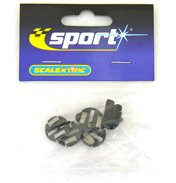 Scalextric offer a new and exciting way to race your slot cars. With the new digital race circuits and cars you can achieve so much more than your standard analogue set. The main difference is the option to race up to 6 cars at once, and you can race multiple cars on any lane! (Six-car power base required for this). You can also switch lanes to overtake and block, which gives a real racing thrill. 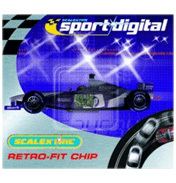 There is no need to throw all your old track away though, as digital is compatible with the existing Scalextric track. But, you will need to make sure your car is digital compatible. 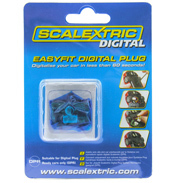 All the new cars now sold are ‘digital plug ready’, and all you need to do is get hold of a simple ‘Easyfit Digital Plug’ (C8515. 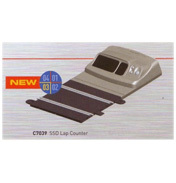 C8516 for single seaters). If your car is older and not digital ready, don’t worry! Many older cars are capable of being modified with the chip; they just take a little more wiring than normal. All instructions will be supplied with the product. The ‘Advance 6 Car Powerbase’ is the ultimate in digital power and control. For racing up to 6 cars this is the power base to have. 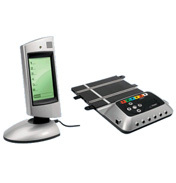 It’s packed with functions such as pacer car, multiple gaming modes and the skill level control. You will need digital hand throttles though, and not the standard controller.